you save 47 % / 895,00 EUR 19 % VAT incl. This wood chipper R130B is equipped with a hammer shredder unit and a cutting disc. 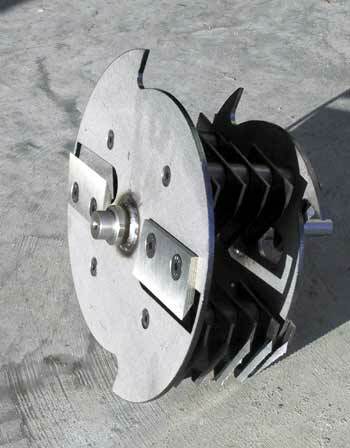 With the cutting disc, you can shred branches up to a thickness of 65 mm. 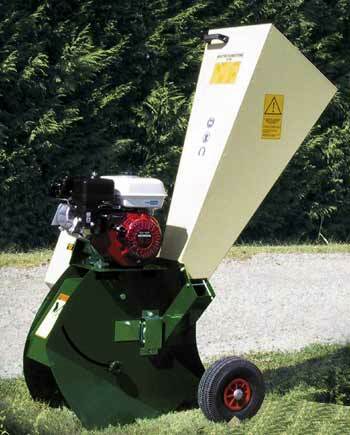 With the hammer shredder unit you can shred branches up to 30 mm in thickness, but also flowers, compost, shrubs, straw, Reed, styrofoam, tree bark, leaves, hedge cuttings, etc. .. 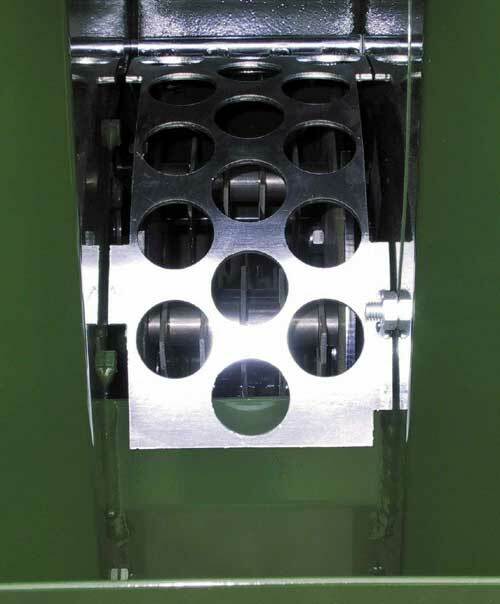 The 22 movable hammer-blades are mounted on a shaft, thus, these blades are folded back if there is an obstacles. This reduces wear. The wood chipper safely survive an accidental throwing in of stones, wire and other unsuitable material for shreddering. The rate of wood chips can be regulated with the movable mesh grade. 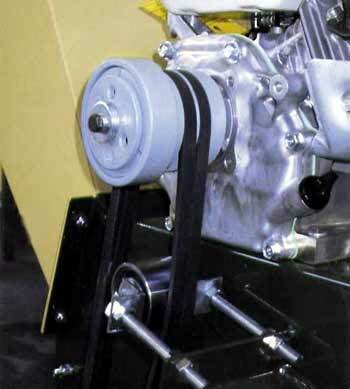 • Engine: 3,7 kW/5,0 PS gasoline Hondaengine GC160 with 3600 rpm.